The U.S. Olympic boxing program has become an epic failure and theories are abound as to how it happened. Some suggest amateur boxing’s lack of television exposure has turned better athletes away from the sport. Others blame the archaic Olympic scoring system. Still others point to the growth in popularity of the NFL and the NBA, which then provide better financial opportunities for boxers. But Hall of Fame matchmakers Don Chargin and Bruce Trampler, boxing lifers with more than 100 years combined experience in the sport, say USA Boxing's demise is far simpler to explain: There has been a distinct decline in the quality of trainers in the last two decades. "Nobody is out there teaching the kids," said Chargin, an 84-year-old who remains active in the business today. "There are guys who call themselves trainers, but most of them aren't worth a thing. There are very few teachers and what we need are teachers who can bring these kids up the right way. "There are still good athletes coming into boxing. But we're not developing them. They're not learning how to fight because there aren't but a couple of guys out there who know how to teach them." The U.S. won eight medals at the 1988 Olympics in Seoul, South Korea. Ray Mercer, Andrew Maynard and Kennedy McKinney won golds, Roy Jones Jr., Michael Carbajal and Riddick Bowe won silvers and Romallis Ellis and Kenneth Gould won bronzes. Carbajal went on to a Hall of Fame career and Jones will follow him five years after his retirement. Bowe had a chance to become a Hall of Famer had he continued and not quit in his prime to join the Marine Corps. But in the six Olympic Games since, the U.S. has won only a combined 14 medals, including just three golds (Oscar De La Hoya in 1992, David Reid in 1996 and Andre Ward in 2004). The 2012 team was the worst in American history and came home without a medal. It's also not that surprising, noted Trampler, as there have been few worthwhile trainers develop over the last 20 years. 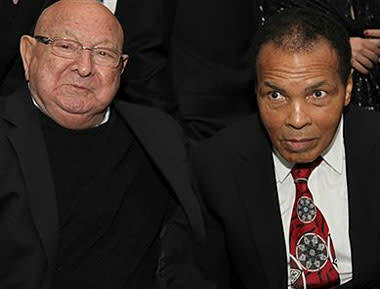 In the last two years alone, Gil Clancy, Georgie Benton, Angelo Dundee and Emanuel Steward have died. All four would rank on any list of the 10 greatest trainers in history. Another of the sport's great teachers, Kenny Adams, is 72 and isn't working full-time. The lack of quality trainers is having a devastating impact upon the quality of professional boxing. Coaches like Freddie Roach, who learned under the legendary Eddie Futch, and Robert Garcia, are in great demand because there aren't that many other places to turn. 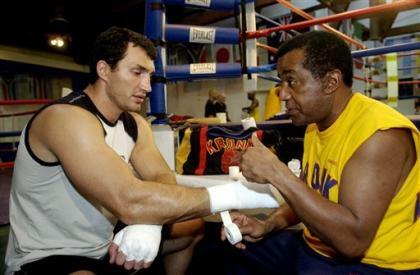 "When I worked for the [Madison Square] Garden, guys would call me and ask me for a trainer for their kids," said Trampler, the matchmaker at Top Rank and a 2010 inductee into the International Boxing Hall of Fame. "It was easy. My answer would depend on where they were. If they'd say Detroit, I had four or five to give them. Philadelphia, there were three or four really good guys. If they were in Los Angeles, I had guys there I could recommend. But now, I don't know if there are four or five guys in the whole country I could give someone who asked." Cameron Dunkin, one of the sport's top managers, agrees. Most of Dunkin's top fighters are trained by Garcia, because he’s is one of the few trainers Dunkin trusts. It's not a new problem, though, according to Dunkin. He said the kids' first amateur trainers aren't doing the job and the vast majority of amateur fighters turn pro without fundamental skills. He said he had a fighter on the same card as Tim Littles, a super middleweight contender in the 1990s. Littles was trained by Benton, a master coach and strategist who died in 2011. Dunkin's fighter was in the same dressing room as Littles and Benton. Dunkin said when it was time for his fighter to warm up, his trainer held up the focus mitts and encouraged his fighter to pound them. "He was saying, 'Right hand,' and the kid would bang the hell out of the mitts and you heard, 'Bam! Bam! Bam! Bam!' " Dunkin said. "But it was all [expletive], all a [expletive] show. He just wanted to hear that sound from the mitts. "And then I walk over and I see Georgie getting Tim Littles ready. Oh my gosh, it was so different. Georgie said, 'OK, keep him here at this height. If he goes here, you go there. This guy has a tendency to pull back, so if he does, you do this. Bend your legs. Keep your elbows here.' On and on. Oh my gosh, I was in awe. I learned more boxing in 10 minutes than my guy had all his life from his trainer. He looked like a moron next to Georgie." Roach was trained by Futch when he fought and then taught Roach how to coach. Futch is arguably the greatest trainer of all-time, and he shared his knowledge with Roach because Roach was so eager to learn. Roach said that young trainers now think they have the answers the day they get into the gym and aren't willing to try to learn. Most of them, he said, stand outside the ring while their fighter spars. They towel them off and give them water between rounds. He said Steward showed the way by getting into the ring with his fighters and and teaching them. He didn't just let the fighters bang away at each other. He had a plan, Roach said, and he'd stop the action to correct mistakes and would have the fighters do drills. "Emanuel got in there and he worked with the fighters and he showed the kids what they needed to do," Roach said. "Catching the mitts can be painful, especially as you age, but you saw Emanuel in there doing it all the time. And he developed a respect and a trust from his guys. He sweat with them and was in there doing what they did and they knew he'd share his knowledge if they were willing to work. "That's been my formula, too. I worked as hard as I could to learn from the guys who came before me, and now I'm willing to work as hard as I can to help my guys. But there are a lot of guys who say they're trainers who think they have all the answers. Those guys, their kids never get better." Chargin said he fears for the future of the sport he loves because of the lack of trainers. He said there are few smart fighters, because they aren't being taught the tricks that the old-timers imparted every day in the gym. He heaped praised upon Roach, and said Roach was an elite trainer long before Manny Pacquiao came along and thrust him into the limelight. Not many others, he said, fit that category. "Freddie knows how to bring a fighter along and make him better, which few guys can do," Chargin said. Steward's death was bad news for boxing, not only because the sport lost a highly regarded man. It was devastating for the long term good of the sport, as well, because there's now just one less quality man available to train the next generation of coaches. The supply of good coaches is clearly dwindling. And, sad to say, as the quality of teaching declines, so does the quality of the fighters. • Video: Is Calvin 'Megatron' Johnson a mega bust for the Lions?